"Generalisations are generally too general"
"To every complex problem there is a simple answer, and it's always wrong!" 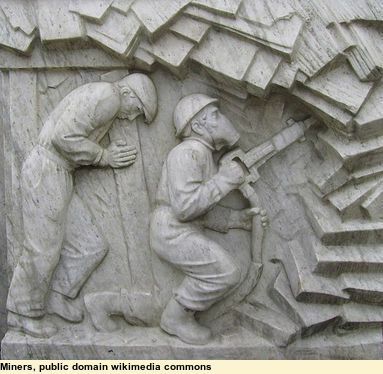 Mining goes back a long way, and getting crude oil is part of mining. The oldest book in the Bible, that of Job, speaks of mining as thoroughly well established in ancient days, as does later archaeology. and it has dust of gold." The name Petroleum is from the Greek for "rock oil". 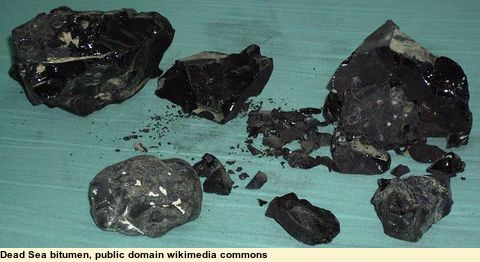 Bitumen has been in use for about 40,000 years. Wars were fought over access to this black bitumen treasure. I remember a book on the history of oil in the library of the oil refinery I worked at. There I saw a photo of a pool in unearthed Babylon, with its thick bitumen damp-course still intact and still good, after 2,500 years! My last job as a mechanical engineer was the design of a blast-resistant bunker to hold new computerised control systems. The site was flat and sandy, with the water table close to the surface, and the idea of a thin film of black builder's plastic as a damp-course for this mass of reinforced concrete didn't make much sense - it would have been punctured many times during construction. It was then I remembered old Babylon, and we got the building contractor to compact the surface and lay 50mm (2 inches) of a bitumen and fine "blue-metal" aggregate, rolled smooth. The whole structure, with its 400mm (16 inch) thick walls, floor and roof, and its forests of 25mm (1 inch) steel reinforcing bars, was built on top of the bitumen. 25 years later and it is still OK (I hope! It was when I retired 3 years ago). Pure white kerosene was freely available in the markets of Damascus in the 12th century. Sadly all this was lost with the demise of Arab science after the 12th century. Uses for petroleum were few in the Western World until a shortage of whale oil for lighting sparked some interest. 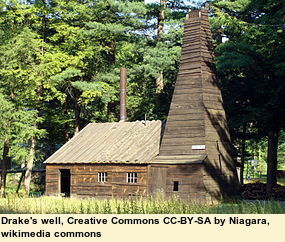 The first known engine-driven oil drilling rig is thought to be Drake's Well, built in 1859 at Titusville, Pennsylvania. I visited the well in 1978, in a very bitter winter, with snow drifting over the roads. I then worked for a company making underground coal mining machines, and well-remember the vast factory, heated (over much for me) by dozens of big air heaters. I never checked, but they were almost certainly powered by oil. 40-ton mining machines stood outside under drifts of snow, waiting for shipment. Glen Davis began production as a strategic necessity in the early years of World War 2, but the industry was never profitable, and died out by the 1950s with the cheap and readily available crude oil being discovered in large areas of the world. The rise of the internal combustion engine and cheap energy. 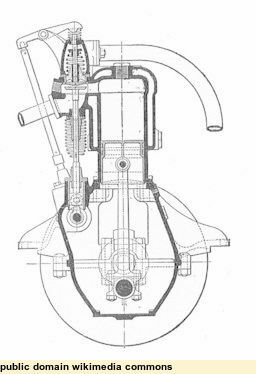 The cheap, but dirty and heavy, energy of the coal-fired steam engine brought in the Industrial Revolution, like it or not. Coal still provides most of the world's energy, from the coal-fired, now clean and efficient, monster power-stations. But coal did not answer the need for cheap and simple portable energy for the mass of people. Cheap and readily available energy is what makes our advanced economies tick, freeing us from the limitations of animal power. How many farmers still use horses or oxen to pull their ploughs. We look back romantically to a world without petrol, cars, aircraft and plastics, but not many of us want to live there, and even fewer of us try the experiment. 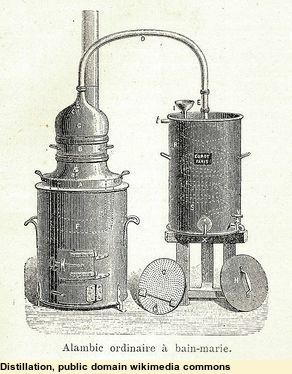 It was the rise of oil distillation for lighting kerosene, and the parallel development of the petrol engine, and later the diesel, that ushered in a second industrial age. It is not for nothing that we do NOT drive electric cars. The energy density of even the best batteries is no match for the energy stored in a small tank of petrol or diesel fuel. The batteries just end up huge, heavy , short range and too expensive. "Cheap! What's this about cheap?" Perhaps you are thinking "This guy doesn't have to pay my monthly diesel bill." and of course you are right, I don't. But the cost is in the large amount we all use and expect to use. Because it's cheap and so useful the whole world uses as much as it can afford. Supermarket wars aside, petrol and diesel are cheaper per litre than milk, Coca-Cola and bottled water, and milk, etc. don't have a heavy excise tax. The only thing that beats it is tap water. The world (me included) is addicted to cheap and portable energy. How many internal combustion engines do you have on your farm? Tractor, harvester, ute, car, quadbike, trailbike, mower, trimmer, chainsaw, pump, generator. Nothing wrong with any of these of course, but it does illustrate how much we depend on them. I read of a very early motorist who carefully tracked his car costs, including "a boy to wash it", and found it much cheaper than keeping horse and carriage, and less pollution too! On top of that there are the plastics, including all the synthetic fabrics. Have a look around your home, and in your pockets, for all the plastic and high tech stuff. It all comes from crude oil. 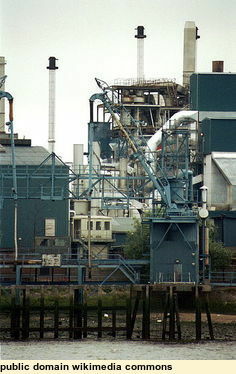 At the refinery where I worked we had a glossy booklet we gave out to visitors and tour groups, called Boiling the Oil. That pretty well sums it up (though of course the overall process is a lot more complicated). 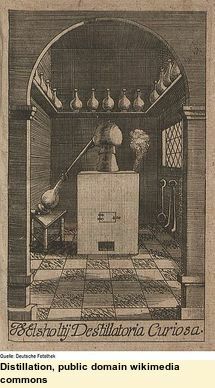 It goes back to that Arab invention called distillation. Crude oil is a brew of many different things, from heavy lube oils and bitumen, light oils like kerosene and diesel, volatile liquids like naphtha and straight-run gasoline (the basis for petrol) and dissolved gases, like butane and propane (LPG). They all have different boiling points. In principle, if you heat a pot of crude, the first things that boil off (at a low temperature) are the gases, then as the temperature rises, the naphthas, then the diesel, with the heavy stuff left behind (that is another story). 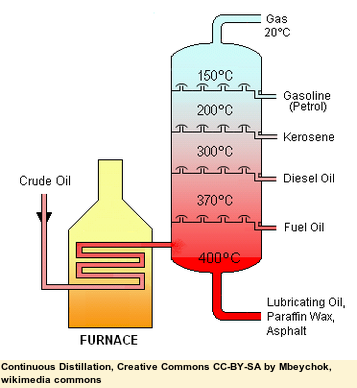 Actual production is a continuous process, not boiling up batches of crude, but the principle is the same. Crude is heated, then pumped into a vertical distillation tower (typically 50 metres high, or 160 feet) with some cunning internal structures to collect the various liquids. The bottom of the tower is kept hot, with the temperature dropping uniformly towards the cooler top. The gases are too light to condense back to liquid, and are taken off at the top. The heavy stuff left at the bottom is pumped out for further processing, essentially being broken down into lighter liquids and then distilled again. Modern refineries are very efficient, turning about 96% of the crude into useful products (the rest goes to fuel the many refinery furnaces, for heating oil and making steam). Are we running out of oil? No one is absolutely sure, but there is about 100 years of oil left. So no, we won't run out in our lifetimes. 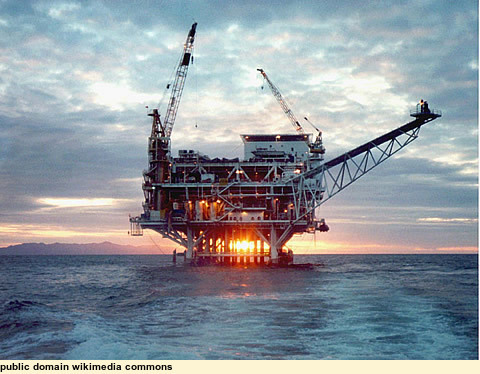 The difficulty and thus cost of extracting oil from tougher sites, eg, sub-sea. You can add the cost of increasingly stringent environmental controls to this; that is a good thing, but it does not come for free. The good quality crudes (ie, light, and with low sulphur content) are getting rarer and thus more expensive. 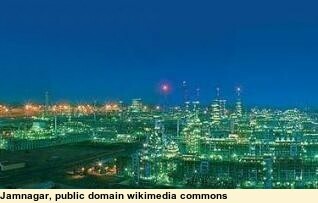 The heavier, sour, crudes need a lot more processing, and more expensive refinery equipment. Developing nations such as India have built huge, modern, low-operating cost refineries, that can handle just about any crude. Eg, just one company in India has two refineries, each of which is bigger than all the Australian refineries combined (including the two being shut down now). Some loath oil and all it represents, but there is no turning the clock back. Anyway, the problems of the world are not because of oil (or anything else mined from the ground) but because of what is in the hearts of men. Nevertheless, oil remains a gift of God, and so is a good gift. Our job is to use it wisely in our lifetimes, and to leave a better legacy for our children. with the best gifts of the earth and its fullness"
Click here for a downloadable PDF copy or visit tardus.net, and select Science from the menu. Then scroll to "The Good Oil".